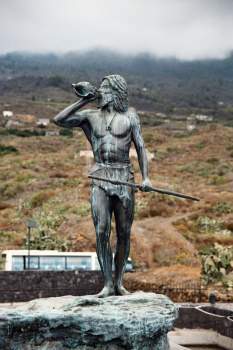 Annika, Kim, Jens and Rory took the bus from Puerto de la Cruz to Santa Cruz, then another bus to Guimar where they visited Thor Heyerdahl's excavations of 6 ancient step-pyramids. 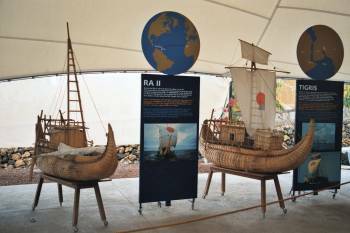 There is also a museum with models of KonTiki and Ra. 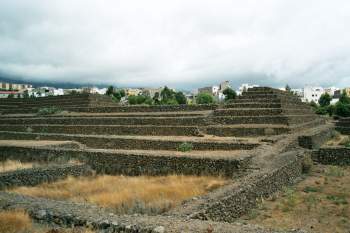 A pyramid and platforms with the town of Guimar in the background. They are thought to be for ceremonial and astronomical purposes. 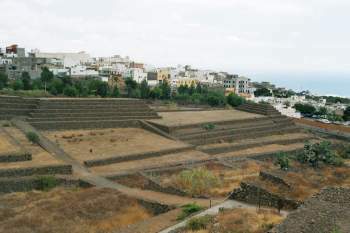 The complex was built by the guaranchas who inhabited Tenerife before the Spaniards. 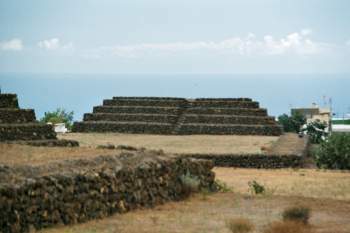 A pyramid and platform complex. The same pyramid in more detail. 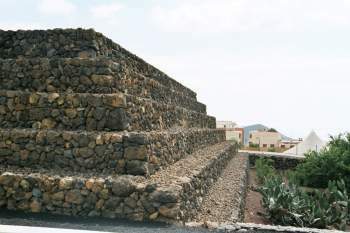 A closeup of the pyramid. Drywall construction of a pyramid. 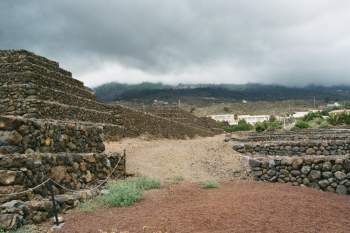 The Guimar pyramids with rainclouds over Teida. 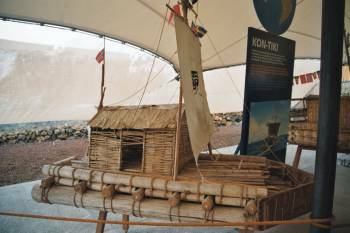 A model of the balsa-wood raft Kon-Tiki with which Thor Heyerdahl sailed from Peru to Polynesia. 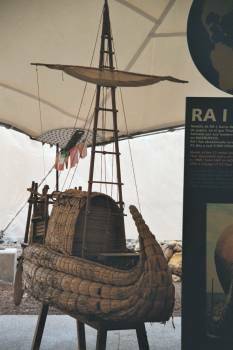 A model of the reed boat Ra I with which Thor Heyerdahl tried to sail across the Atlantic from North Africa to the Caribean. 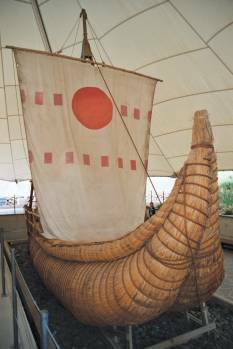 Models of the reed boats Ra II and Tigris with which Thor Heyerdahl sailed from North Africa to the Caribean (Ra II) sailed with an international crew from Mesopotamea. 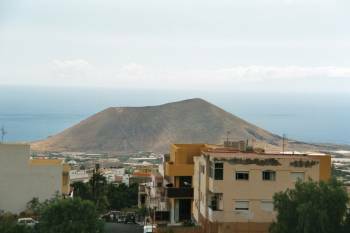 Looking over Guimar to the sea with Gran Canaria in the distance. The hill is a volcano called Montana Grande (big moountain).